Achoo! Cough! F-L-U-S-H! What to do? In childcare, in preschool, at home, and everywhere, toddlers need to learn that germs are not for sharing. 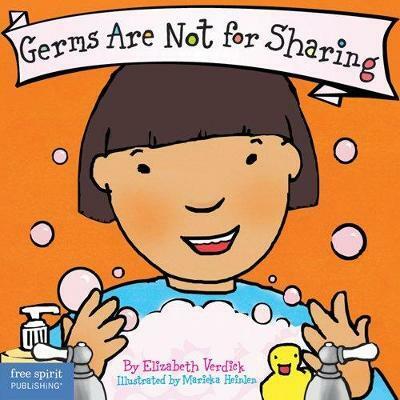 Rather than focus on what germs are, this book teaches the basics of not spreading them: Cover up a sneeze or cough. Hug or blow kisses when you're sick. And most of all, wash your hands! Child-friendly words and full-color illustrations help little ones stay clean and healthy. Includes tips and ideas for parents and caregivers.